The spotlight was placed back on the Internet of Things (IoT) recently when Bosch, the multinational engineering and electronics company, tweeted on Nov. 12 about their Cross Domain Development Kit (XDK), a programmable sensor device and IoT prototyping platform, in partnership with IOTA. The industry has taken off significantly in recent years and estimations and predictions of its future growth and impact abound on the internet. Research and advisory company Gartner estimates that the number of installed IoT devices will reach 20.4 billion by 2020, BI Intelligence predicts that it will be closer to 24 billion, while IDC, a global provider of market intelligence and advisory services, estimates there will be around 30 billion connected devices by 2020. According to IHS Markit, a source of critical information consisting of 5,000 analysts, data scientists, financial experts and industry specialists, the figure will grow to 125 billion installed IoT devices by 2030. IDC also projects that IoT revenue will hit $357 billion by the end of 2019 and Bain & Company, a management consulting firm, expects it to increase to $450 billion by the end of 2020. McKinsey & Company, another international management consulting firm, estimates that IoT will have an $11.1 trillion impact on the global economy by 2025. It is clear that it is an already large industry set to grow exponentially over the next decade and beyond. How exactly does IoT work? IoT refers to a network of connected devices that are capable of collecting and exchanging data. IoT-enabling platforms provide a common network for devices to dump their data and a common language for these devices to communicate with each other, allowing people to use it to their benefit. Communication devices — or sensors — are embedded in everyday objects, such as phones, TVs, indoor climate systems, electrical appliances, cars, traffic lights and industrial equipment. These sensors continuously emit data about the working status of connected devices and allow them to send and receive data from each other via the cloud (internet). IoT platforms will then analyze the data to extract valuable information and share it with other devices to initiate specific commands or actions. The result is a better human experience, greater automation and improved efficiencies. In manufacturing, for example, all the different components and machines in the factory could be fitted with sensors that continuously transmit system health data back to the mobile apps of operators. Potential problems can then be identified and fixed before a breakdown happens, saving companies time and money. If we look at a direct-to-consumer product, such as air conditioners, units can be embedded with a sensor that emits data regarding the system health and temperature. Data will be continuously downloaded and analyzed in an IoT network. If an issue comes up, customer support can then be contacted for repair work before you even know there is a problem. The use cases of IoT are near enough endless, from keeping medical devices in patients in good working order to fighting rapid deforestation in rainforests across the globe. But IoT networks are not perfect. Devices are constantly sharing critical information back and forth over the internet, which makes it a prime target for hackers. Privacy and security are therefore major concerns. Some of the more infamous IoT attacks include the Mirai BotnetDDoS (distributed denial of service) attack that affected internet service for nearly the entire East Coast of America, including Twitter, Netflix and Reddit. There was also the planned hacking of a Jeep to expose some of the vulnerabilities in IoT devices in cars and the catastrophic consequences it could have when breached, along with the very real FDA recall of 500,000 IoT connected pacemakers in September 2017 because security loopholes were discovered that could allow hackers to tamper with the medical devices once implanted in patients. How effective is blockchain in the IoT sector in overcoming centralized bottlenecks? Blockchain at its core is a cryptographically secured, distributed ledger that allows for the secure transfer of data between parties. Traditional IoT systems are dependent on a centralized architecture. Information is sent from the device to the cloud where the data is processed using analytics and then sent back to the IoT devices. With billions of devices set to join IoT networks in the coming years, this type of centralized system has very limited scalability, exposes billions of weak points that compromise network security and will become incredibly expensive and slow if third-parties have to constantly check and authenticate each and every micro-transaction between devices. Smart contracts in blockchain networks will allow devices to function securely and autonomously by creating agreements that are only executed upon completion of specific requirements. It not only allows for greater automation, scalability and cheaper transfers (no third-party needed to oversee transactions) but these smart contracts can also prevent overrides by individuals that want to use the data for their own benefit. Information is shared across a decentralized, cryptographically secured network, meaning it becomes very difficult to compromise the network security. Finally, with a centralized network, the risk of a single point of failure disabling an entire network is a very real possibility. A decentralized blockchain network mitigates this risk with millions of individual nodes that transfer data on a peer-to-peer (p2p) basis to keep the rest of the IoT network running smoothly. Several blockchain platforms focusing on IoT are emerging as the industry gets bigger. One of the first blockchain IoT platforms is IOTA. It was designed specifically for the Internet of Things and provides a transaction settlement and data transfer layer for connected devices. They’ve created the Tangle platform, which developers describe as “going beyond blockchain.” It’s a blockless, cryptographic, decentralized network, where, instead of outsourcing network verification, users verify transactions of other users. The benefit is twofold: It allows for greater scalability and it eliminates the need to pay transaction fees to miners. Both these factors are essential in a practical IoT network that could require the processing of billions of micro-transactions between devices on a daily basis. Bosch — the Bosch XDK (Cross Domain Development Kit) is a programmable sensor device and IoT prototyping platform used to collect specific, real-time data which can then be sold via the IOTA Data Marketplace. Fujitsu — the company is using the IOTA protocol in a proof-of-concept, immutable data storage medium for audit trails across industrial production environments and supply chains. Den Norske Bank currently in an exploratory partnership to find ways in which IOTA’s Tangle platform can be applied to improve the bank’s existing services and products. Volkswagen — the car manufacturer is working with IOTA on a project called “Digital CarPass,” which is essentially a report card for cards stored on a distributed ledger that ensures critical factors — such as mileage — are reliable and accurate. 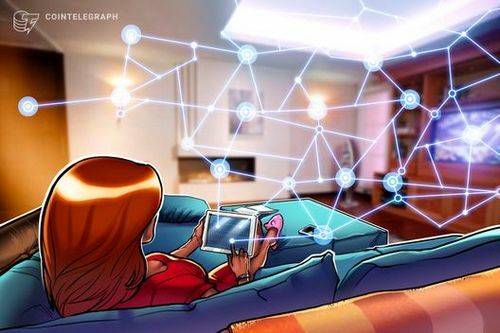 The Hyundai Digital Asset Company (Hdac) is applying blockchain technology to quickly and effectively communicate, handle identity verification, authentication and data storage between IoT devices. The system incorporates a double-chain system (public and private) to increase transaction rate and volume, which makes it ideally suited for IoT devices. The technology is applied to smart factories, smart homes and smart buildings for machine-to-machine transactions and operation between IoT devices. VeChain is a global enterprise-level public blockchain platform. The blockchain is used in a variety of ways, with one focus being on advanced IoT integration in cold-chain logistics by using proprietary IoT devices to track key metrics — such as temperature — throughout the entire journey. In addition, the platform can hold automobile passports by creating digital records of cars — including repair history, insurance, registration and even driver behavior throughout its lifecycle. Medical and healthcare applications are also possible by using end-to-end tracking of production processes of medical devices and allows patients to securely share their biometric data with their doctors to enable real-time monitoring. VeChain also uses IoT technology for luxury goods by embedding smart chips within the luxury products so that brands can monitor their sales channels in real-time, thereby preventing illegal overstock trading and allowing consumers the ability to verify the authenticity of the luxury product. Waltonchain is created through a combination of RFID and blockchain technologies for effective IoT integration. They primarily focus on tracking processes and products in the supply chain, where the technology can be applied to high-end clothing identification, food and drug traceability and logistics tracking by implanting RFID tags and reader-writer control chips into products. Information regarding the status of products is then downloaded for analyses onto a secure blockchain. Streamr is an open-source blockchain infrastructure to power the world’s data economy and to give people back control of their own information. Their technology can be implanted into everyday objects — such as cars — to record data including traffic, potholes and local fuel prices. The user can then choose to sell this data to fellow car users or highway agencies, or buy information from other users that will help them make real-time decisions in a connected smart city. Information travels through the decentralized peer-to-peer network to get posted on the network nodes and is powered by the network’s native cryptocurrency (DATACOIN). This is just a small sample of blockchain-based IoT platforms and the list keeps on growing as the industry evolves. Other projects include Ambrosus, IoT Chain, Atonomi, Chain of Things, IoTeX, OriginTrail, Slock.it, BlockMesh, Helium, Moeco, FOAM, Fysical, Grid+ and Power Ledger. Great strides in development have been made in this area, but blockchain’s application in IoT is far from perfect and several key challenges will have to be overcome before we will see the complete benefit of blockchain in IoT be realized. Can blockchain networks cope with the sheer volume of data that is expected to be produced by IoT devices in the next five to 10 years without slowing down transaction speeds or the flow of data? IOTA addresses this issue specifically by not using a blockchain-based decentralized network, instead opting for their Tangle platform. But this is just one project. More well-known blockchains like Ethereum and Bitcoin have long been suffering from scalability issues and is not suited for the amount of data IoT devices are producing. Decentralized blockchain networks provide a high level of security, but what level of weakness (if any) do the IoT devices create at the point where they connect to the network? Devices themselves will have to be secured as well to prevent hackers from tampering with them. Cross-chain interoperability will have to be addressed and improved if we truly want to leverage the benefits of interconnected smart devices. If not, we can end up with a situation where we are connected to multiple isolated decentralized networks that work well for their purpose but can’t necessarily talk to other devices for which they were not specifically designed. The allocation of responsibility will have to be closely examined. How smart contract actions are regulated in the world outside of blockchain will also have to be stipulated. For example, who takes responsibility if an IoT-connected medical device implanted in a patient takes an action based on certain smart contract rules but ends up causing the patient harm? Is this the responsibility of the manufacturer or the IoT platform? If the IoT platform is blockchain-based, it will be decentralized without a controlling entity, so pinpointing an accountable party might present a problem.